Built on the site of the former brewery, Gwazi was a dueling wooden roller coaster designed by Great Coasters International, and opened in Summer 1999. By the summer of 1998, rumors of a new wooden roller coaster coming to the park were in circulation. By the beginning of June, it had been reported in the Orlando Sentinel that a ten million dollar attraction would open in 1999. It was about that time that rumors of large deliveries of lumber to the former site of the brewery were also coming out. They’re coming! One is powerful with superior strength while the other is cunning with unmatched speed. Both are locked together in an intense battle over a territory neither one can ever share….and neither one can ever leave. A drum call summons the bravest of warriors as these two forces prepare to bring their intense battle to, Busch Gardens Tampa Bay. Lurking among the hidden forests of Africa, the mythical Gwazi beast – part lion, part tiger – emerges while caught in a never-ending internal struggle. A battle for supremacy between its two beastly sides is legendary. Now, adventurers from around the globe can experience the power of Gwazi lion and tiger at Busch Gardens Tampa Bay. Guests entering Gwazi’s village plaza are challenged to choose between the coasters’ two distinct track layouts, creating an irresistible invitation to compete against family, friends and other guests. Gwazi’s Lion and Tiger trains each hold 24 riders, allowing a capacity of more than 1,400 guests per hour. The Gwazi legend instantly springs to life as both coasters leap simultaneously from the queue house and cross by each other, foreshadowing future pulse-pounding confrontations for dominance. After ascending each track’s 90-foot lift, Gwazi’s Lion and Tiger trains plummet at combined speeds of 100 mph and “flyby” within several feet of each other. Luring guests into Gwazi’s massive 8-acre den, an intricately themed village plaza portrays two unique environments. Within the Gwazi Lion territory, “hot” color and lava rocks comprise an African desert atmosphere while the Gwazi Tiger region illustrates the lush landscapes and cool streams of Asia. Skill games including a “Water Wars” showdown with water balloons and giant slingshots create an atmosphere of friendly and likely wet competition. From its immersion theming to competitive atmosphere to family-oriented excitement, Gwazi adds yet more adventure to Busch Gardens’ home of the world’s top-rated thrill rides. By early June 1999, several test runs with coaster enthusiasts were held for a commercial shoot. Early riders reported the coaster to be smooth and offer a lot of airtime. An event was held on June 16, 1998 to allow members of the media and Florida Coaster Club to ride Gwazi for the first time. The following day, annual pass members who purchased special tickets participated in a “First to Ride Gwazi” event. The new roller coaster officially opened to the public the next day, Friday, June 18, 1998. On July 24, 2006, 52 year old Thomas Welch suffered an apparent heart attack after riding Gwazi. Emergency crews responded and performed CPR and used a defibrillator, but Welch was later pronounced dead at a local hospital. 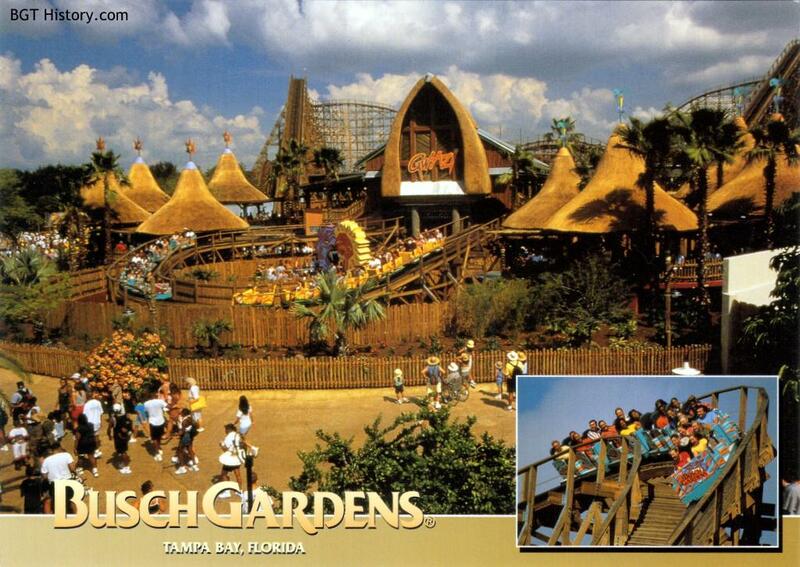 In 1999, Busch Gardens Tampa Bay unleashed Gwazi, the Southeast’s largest and fastest double wooden roller coaster featuring 1.25 million feet of twisting lumber. On Saturday, Jan. 22, Gwazi will reopen to fans outfitted with new Millennium Flyer trains designed by Great Coasters International, Inc., the coaster’s original manufacturer. The new trains provide the smoothest way to ride a wooden coaster and are highly regarded for their spacious, cushioned seats and individual row design that resembles wooden roller coasters trains from the early 1900s. The open sides of the new cars will provide unobstructed views of the 7,000-plus combined feet of Gwazi’s two twisted tracks. A media event was held on January 20, 2011 to debut the new trains. Mark Rose, the Vice President of Design & Engineering, spoke about the roller coaster’s history and decision to replace the four original Philadelphia Toboggan Coasters, Inc. (PTC) six-car trains. In addition to the added comfort of the new trains, they also featured new graphics on the front and sides of the trains with lion and tiger theming. A special promotion accompanied the reopening on January 22, 2011. Riders that day received a coupon for 30% off food & beverage at any culinary location, and any enthusiast wearing a Gwazi, American Coaster Enthusiasts (ACE) or Florida Coaster Club shirt also received a free on-ride photo. 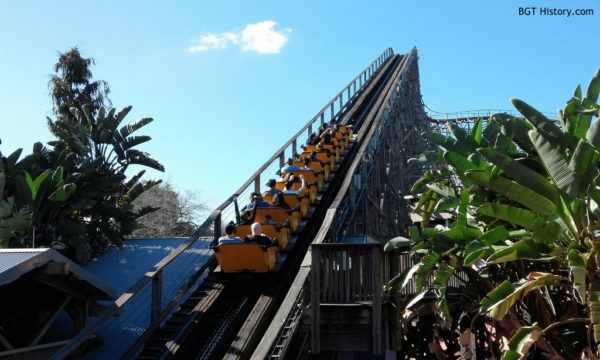 February 1 is the last day for thrill seekers to ride Gwazi at Busch Gardens Tampa as the park prepares to permanently close the wooden rollercoaster. 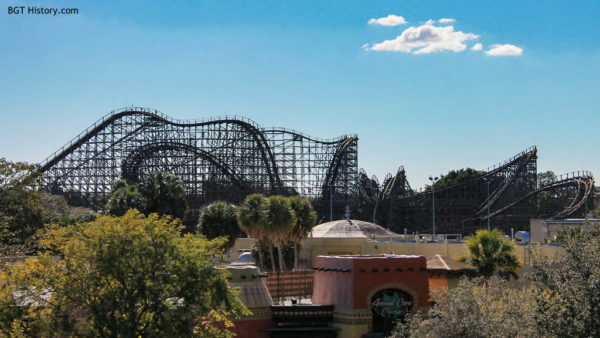 Gwazi opened in 1999 as Florida’s first dueling wooden rollercoaster, providing guests with thrilling and memorable experiences for more than 15 years. Since its closing, rumors have swirled as to what might replace Gwazi, or if it might receive new life as a refurbished/re-tracked roller coaster. Starting in the fall of 2015, the queue and station has been used for one of the haunted houses at Howl-O-Scream. As of July 2018, Gwazi remains Standing But Not Operating (SNBO) with no official plans released on what will happen with the roller coaster. Additional details and images on Gwazi will be added in the future.